Tag Archive | "sunlight hours"
One popular place for solar panels is starting to be the parking garage, or at least the roofs of parking garages. In fact, it is estimated that parking garages will become the most popular place for solar systems within the next 20 years for several different reasons. One of the reasons that a parking garage makes such a good location for PV solar panels is due to the easiness of accessing the area for the actual installation. 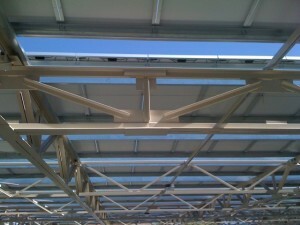 Many parking garages have open top levels for parking which also usually have unobstructed views towards the sun. Since shade is one of the worst things for a PV solar system, having no shade at all makes the solar electric systems much more efficient. It will never change that maximum sunlight hours is key to the output of a solar system. Another reason that businesses and universities are installing PV solar systems on top of parking garages is because it gives off a great show of interest in enviornmental awareness or “Going Greenness” to all of the people who use the parking garage. 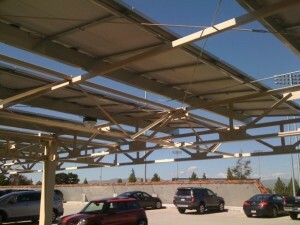 Having a PV solar system on top of a parking garage is a great way to prove you are going green. A third reason why the parking garage is becoming such a popular location for PV solar systems to be located is for cost reasons. 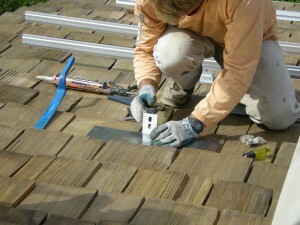 When working on top of roofs, there is often the need to re-roof prior to installing the PV solar system. This is obviously very costly. 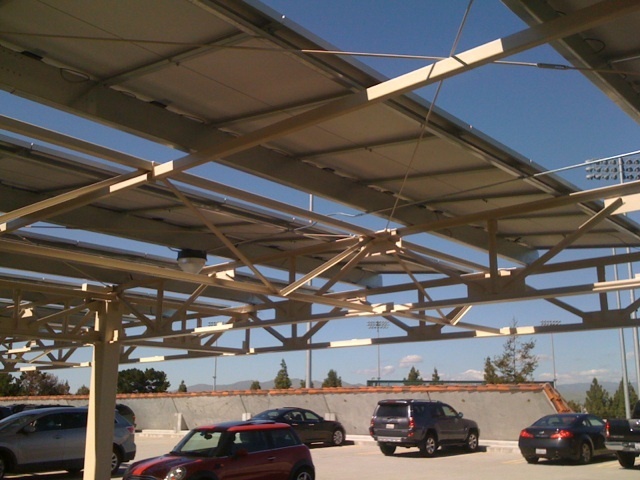 But parking garages are usually built for the long haul, and often a Rack mounted solar system is installed, so the actual PV system will sit on a custom fabricated set of stands, which will last a lifetime when done properly. Everyone asks this question at some point. 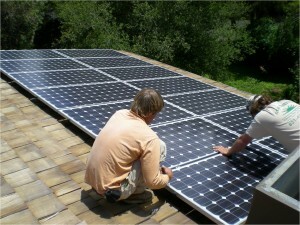 The answers are unique to every house, and there are several variables involved(location on the planet, shade from trees which would limit solar production, heat factors, snow factors, roof angles, or ground angles towards the sun, and then there is a very complicated variable of the local state incentives for solar power. Let us start by doing an example of a house in San Francisco, California. According to data from the department of energy, San Francisco receives 5.2 hours of sunlight on average per day per year. (What the heck does this mean?) Well this means that if you took all the days in the year(the long summer days, and shorter winter days) and added up all the hours of sunlight, and then divided by 365, you would be left with a number. The number is going to be more than 5.2, but all sunlight hours are not created equal. This means that when it is 8:00am the solar panels do not produce as much electricity as they do compared to lets say the middle of the day. Either way we need to come up with a number that equals the average number of sunlight hours per day per year that can create maximum output on the solar panels, and that number is 5.2. Please realize, you want this number to be as high as possible. For example, in some parts of Arizona this number can be over 7 hours per day, which is dramatically different than lets say 5.2 sunlight hours per day. 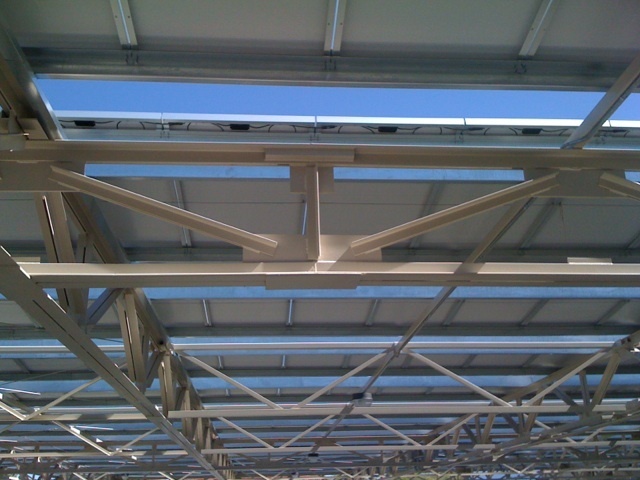 Shade from trees is not good for making solar energy if the shade hits the solar panels. That is a basic concept, so lets not freak out about that too much. Some people go ahead and cut down some parts of trees in order to maximize the solar panels production. Heat is a factor, but for much of the US, it is relatively small compared to factors that can reduce energy production. The bottomline is worry about shading from trees before you worry about the solar panels being too hot or cold. The angle of the solar panels towards the sun is a very important variable. For the most part, the best angle for generating the most electricity throughout the year is this equation: Your location’s lattitude minus 15 degrees. For the San Francisco Bay Area, that comes out to about 22 degrees give or take. So solar panels around here should be mounted towards the sun at about 22 degrees. That will make the most energy. 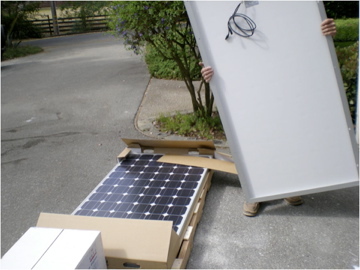 Yes of course, if you have panels that rotate during the day, they surely will make more electricity, but that type of setup is very costly and most homeowners don’t go that route, so lets not get into that too much. In general, you want to point your solar panels to the south at the angle we talked about in the paragraph above. Since we are north of the equator, that is why we have the panels face south, it would be different if we lived down in Argentina. So lets do a little math. Look at your utility bill. You should see the number of kilo watt hours of electricity you used for that particular month. That is the number we need to know. Say for EXAMPLE you used 900 kwh for that particular month. That would come out to 30 kwh/day since there are about 30 days in the month. That would mean, your solar system would need to produce 30 kwh in AC to power your home, and keep up with your needs ON AVERGE. So, the next logical question is, what does that mean in terms of a solar system size? 30 kwh per day means that in the exmple of San Francisco, where we have 5.2 sun hours per day on average, we need to make about 5.8 kwh for each of those sun hours. Since Solar systems are not 100% efficient, some energy is lost in the process which can’t be avoided. So, we need to find out how many solar panels are needed to do that for us. Lets assume that 20% of whatever is produced on the panels is lost in transmission. So, the 5.8 kwh really needs to be 7.25 kwh produced at the panels which after losing 20% will really become 5.8 kwh. That is not a great looking financial equation right now. So we need some help, and there are incentives for that. Take for example, the 30% federal tax credit. That is a big number. Then there are all types of local incentives, many times from the local utility company, and other times there are solar incentives on the city level. Also, look for state level incentives. In California for example, this type of system would be eligible fo rabout $10,000 in state level rebates. Not bad, and definitely changes the financial equation. Please post your comments, I will try to answer them all.